This week all our children have been decorating and adding their own messages to big red hearts. These are going to be included in a 1km chain of hearts to be draped around Oswestry's ancient Hill Fort. Mrs O'Dwyer said: "Our local history is so important at school we encourage the children to learn about it and appreciate it. We are so fortunate to be living in such a lovely area and feel passionate about its rurality and its history." 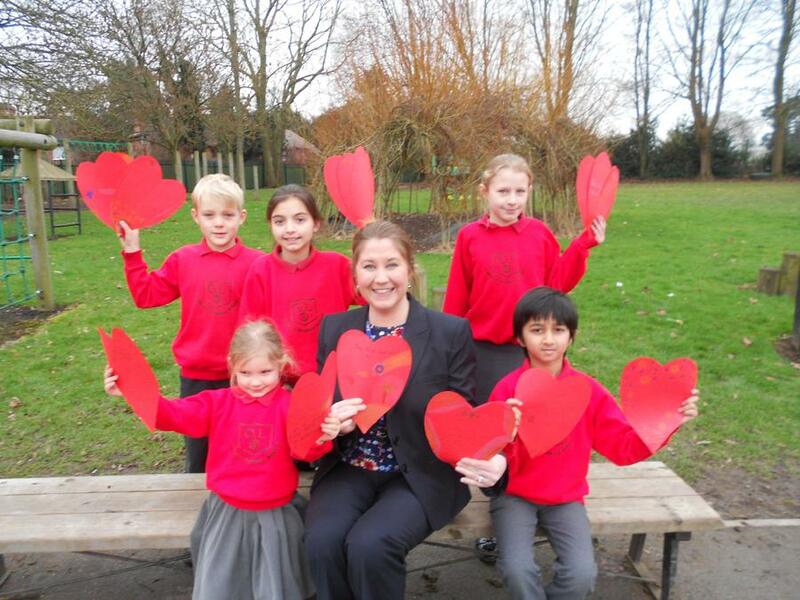 Today Jac Williams, Annabelle Haralambous, Marnie Shelston, Lily Cosgrove and Bunty Patil joined Mrs O'Dwyer in the playground to show off just a few of the 130 hearts that will be added to the chain.